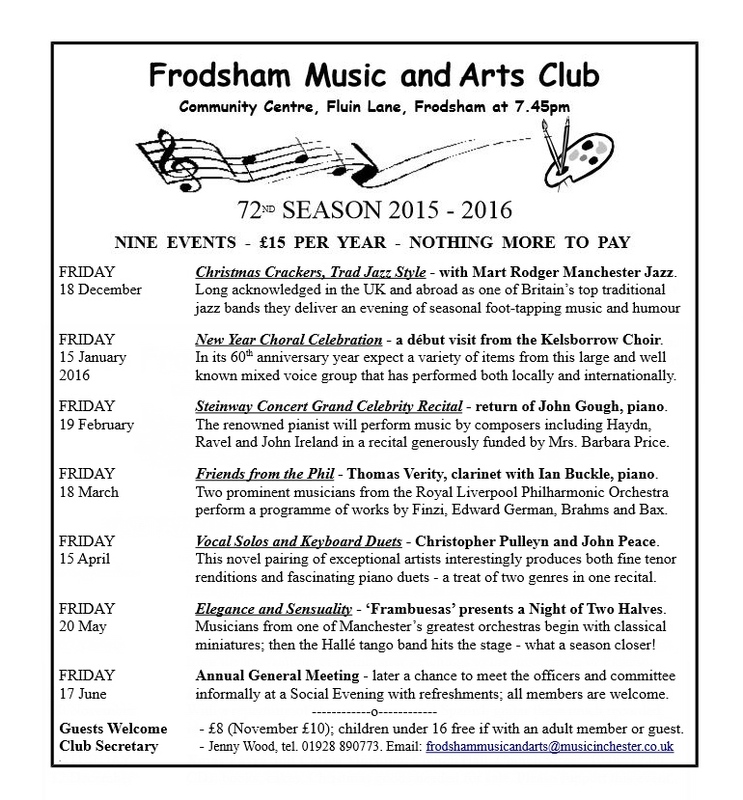 This year Kelsborrow Choir have been asked to perform for the Frodsham Music and Arts Club. We will be singing a wide range of music, from jazz, popular music, sacred & spirituals – It promises to be a great eveing! For all their events guests are welcome – £8 ; children under 16 free if with an adult member or guest.